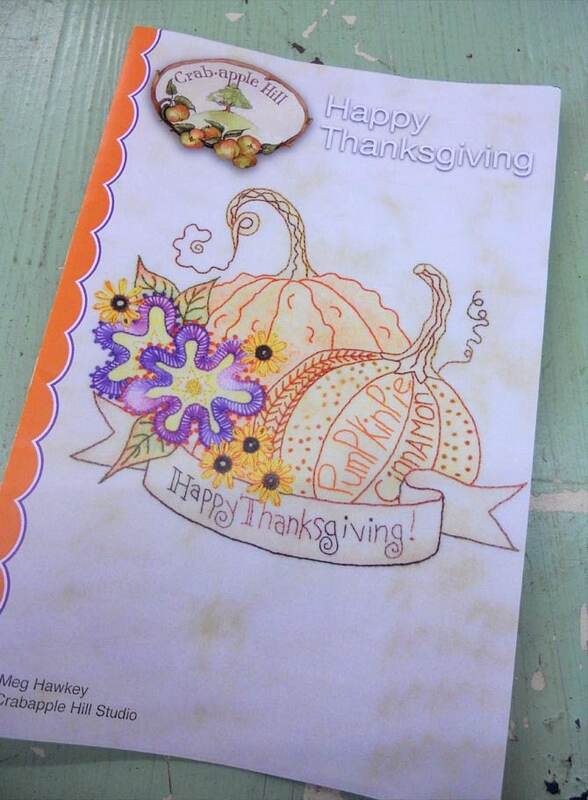 This Thanksgiving motif is simply gorgeous. It measures just 7 1/2 x 6 1/4 and would be perfect as the center of a wall hanging...or stitch it up and add a border or 2 for a simple little mini to pin to a stand, suspend on a hanger, or tuck in a bowl of gourds. This listing is for the embroidery motif only.